Football’s a funny old game, or so it’s been said. The people’s game. The beautiful game. The offshore game? £3 billion says so, according to the new TJN project which launched with a splash in The Guardian today. 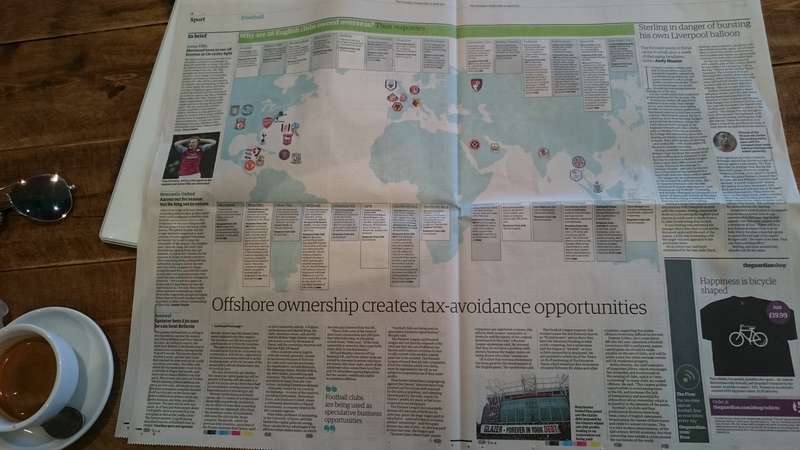 The new project, The Offshore Game, will focus on a range of financial secrecy issues in sport around the world – from match-fixing to administrative corruption, and from tax dodging to the lack of accountability to fans. 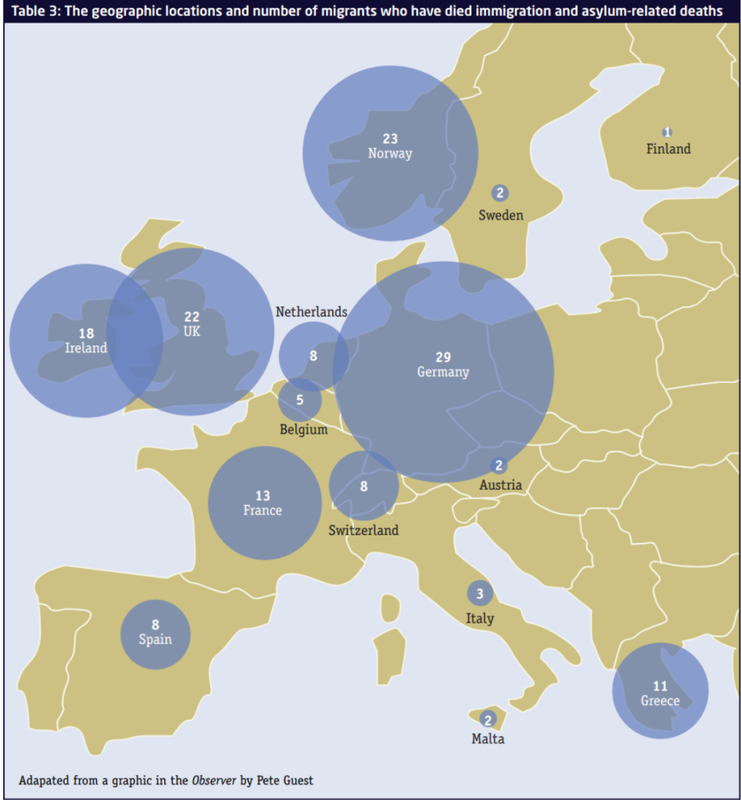 A major finding is the total of £3 billion of offshore money, much of it through some of the most financially secretive jurisdictions around the world. 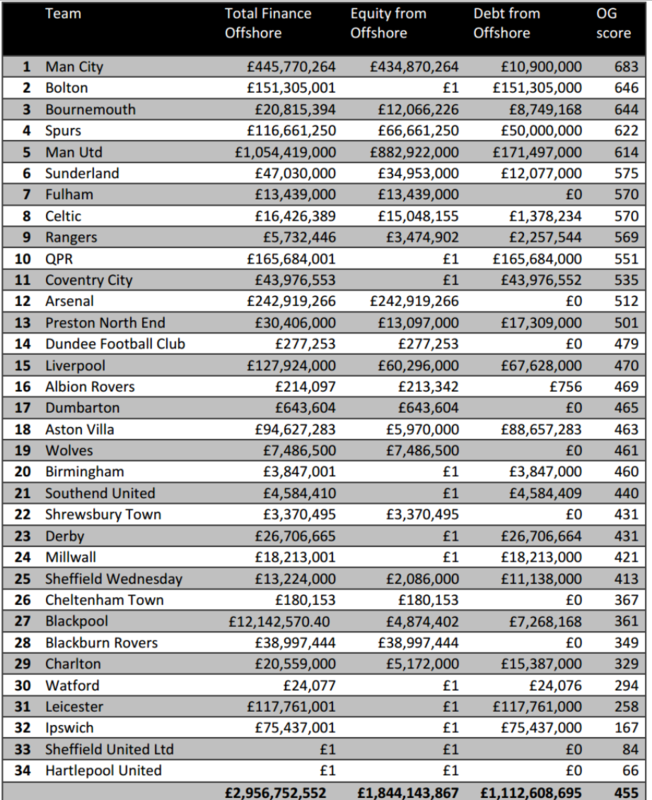 The clubs involved range from giants like Manchester United, to minnows such as Dumbarton. The report highlights the range of risks – not least for fans, tax authorities and sporting integrity – that are exacerbated through greater exposure to financial secrecy. The league table follows TJN’s Financial Secrecy Index in ranking clubs according to the combination of scale and secrecy: how much offshore money is involved, and how secretive are the particular jurisdictions? Full details are in the report, including responses from clubs where they provided them, and detailed studies of the top five’s financial secrecy and possible risks. Thanks and kudos to George Turner for driving the project forward, and writing the report. And to Christian Aid, who provided the space for the fore-running 2010 report, Blowing the Whistle. Where The Offshore Game goes next will depend, in part, on the opportunities that arise. There are, for example, some very interesting developments in the field of match-fixing analytics that offer the potential of identifying the extreme abnormalities associated with rigged matches in various sports. However whilst we predict the amount of people investing in off-shore accounts for tax evasion, we also predict that as more and more people move to countries with better climates or economic statuses they will be investing in offshore accounts ready for when they move over. If you are looking for help banking in Andorra, you should read a guide online for information. We are already receiving tip-offs and suggestions about individual cases of hidden ownership, and associated criminality; while there is clearly scope for financial scrutiny of major international sporting institutions such as the International Olympic Committee and FIFA. 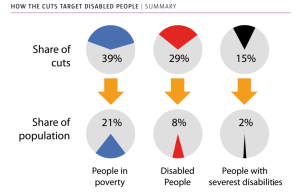 People living with disabilities in the UK have suffered an excessive burden from the spending cuts; have been further excluded by the decision not to compile statistics on the impact of those cuts; and now, as the election looms, find a refusal to recognise them politically. The data we have show a very considerable excess burden of cuts on people living with disability – the Centre for Welfare Reform, for example, find that people with disabilities lose an average of £4,410, or nine times the burden on most citizens; while people with severe disabilities lose £8,832, 19 times the burden of others. That these statistics are generated by an independent organisation tells its own story. The WOW Petition managed to achieve the necessary 100,000 signatures to be granted a parliamentary debate on the need for a ‘cumulative impact assessment’ (CIA) of the cuts to support for people with disabilities and carers. They even won. But no assessment has been forthcoming, due to the government’s claim – apparently erroneous, it transpires – that the independent Institute for Fiscal Studies had said a CIA would be too difficult. 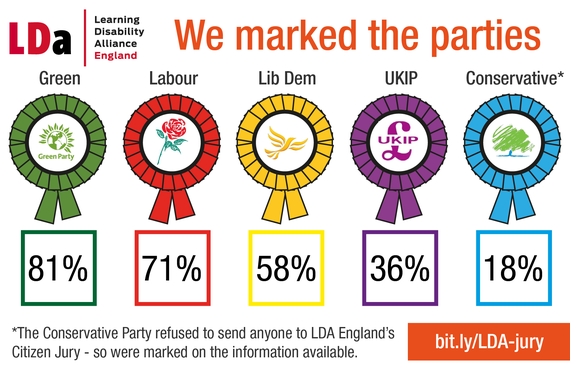 With the general election looming, the Learning Disability Alliance (England) set up a citizens’ jury to assess the related policies of each major political party. The results are what they are – but the striking feature of the jury was that the main party of government refused to take part, despite repeated personal invitations. One last piece of information on what looks very much like the deliberate uncounting of people living with disabilities in the UK: this threat from the main department responsible for benefits, the DWP, to withdraw cooperation from one of the main disability-focused news services. Simon Duffy writes that the community of people with learning disabilities, their families, friends and carers may number as many as 5 million – more than enough to swing multiple seats. The evidence on cuts suggests a political calculation that this won’t happen. An interesting development in the UK election campaign today, as the opposition Labour party will pledge to end ‘non-domicile’ tax status – an 18th century relic which allows residents to exempt their foreign income from tax, provided they can make at least some (often highly tenuous) connection to some other state. It’s heartening to see tax in the centre of the discussion, not least given the minimal attention that has been paid to the UK pursuing the most extreme tax-averse austerity of any leading country (the only country to cut spending more than it cut the deficit). The revenue numbers may be relatively small, but they’re not really the main point. Abolishing non-dom status would remove a clear injustice in the system, a deliberately created horizontal inequality in treatment of otherwise similar people. The primary purpose of the capital tax is not to finance the social state but to regulate capitalism. The goal is first to stop the indefinite increase of inequality of wealth, and second to impose effective regulation on the financial and banking system in order to avoid crises. Absent a tax, even at a nominal 0.01%, data may not be collected and so policymakers will lack information about the distribution which might lead them to set policies to tackle inequality. Aside from the aspect of tax injustice, non-dom status has been pernicious in part because it has taken a deal of high-income individuals’ income out of tax and other data – so that the actual distribution is simply not known. If we can envisage scenarios in which policymakers may wish to address the (top end of the) distribution, then the absence of this data is an obstacle. In fact, this is one more example of the phenomenon of Uncounted – where the power of an elite group, in this case, allows them to go uncounted and this in turn militates towards higher inequality. 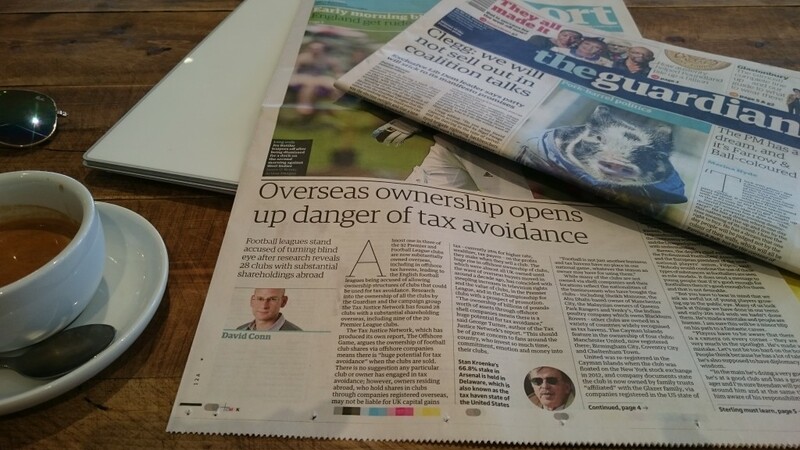 Finally, the existence of non-dom status is iconic – a clear message that the UK wishes to retain its role at the heart of global tax haven activity, providing differential tax and transparency treatment to a certain elite. Knocking non-dommery on the head would build the credibility of, for example, the outgoing government’s important efforts to address financial secrecy worldwide through the G8 and beyond. 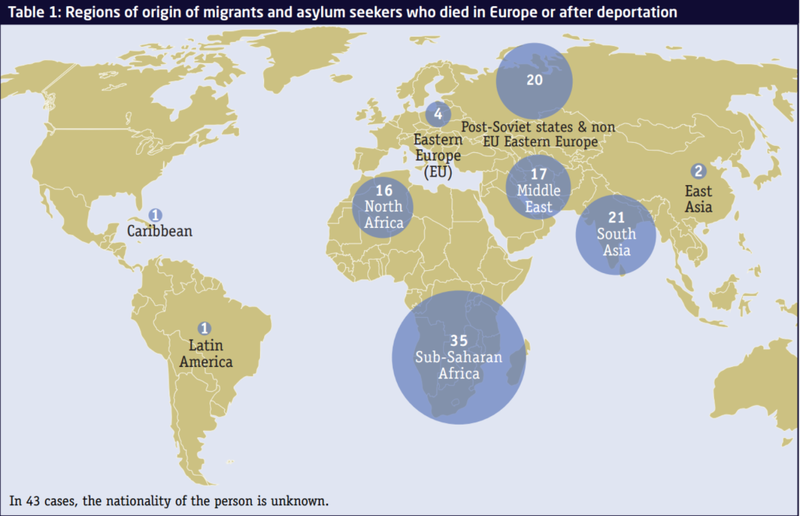 Just as immigrants to Europe are often undocumented, so too their deaths. 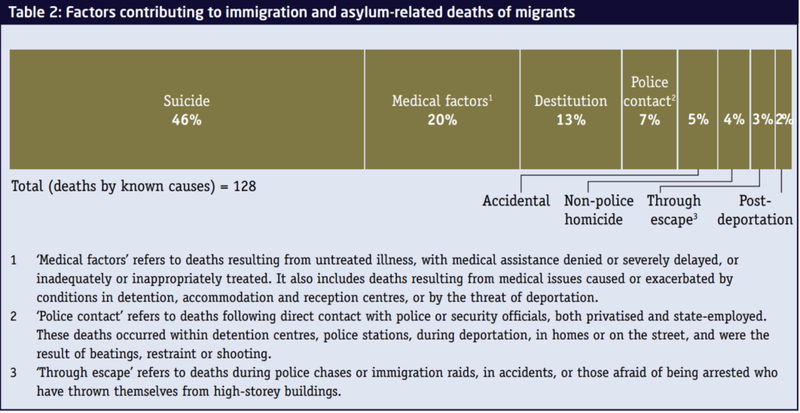 The UK’s Institute of Race Relations has published a study looking at the known cases in recent years, and it makes for terrible reading from the title onwards: ‘Unwanted, unnoticed: An audit of 160 asylum and immigration-related deaths in Europe’. Aside from the typically harrowing detail of each case, the study puts together an overview of the main patterns. How can people be uncounted up to the point, even, of their death? Out of 160 cases, not even the cause of death is known for 32 people. Not. Even. For 43 people, even the basic information of nationality remains unknown. Table 2 shows the main factors where these are known. If there is no publicly accessible record of deaths, how can states be held accountable? These differences are not, to be clear, just a direct result of learning disabilities. They reflect society’s treatment of people who live with learning disabilities. The report finds, for example, that 37% of deaths would have been potentially avoidable if good quality healthcare had been provided (and see Chris Hatton’s powerful comment on discrimination by health specialists). There’s an earlier post here on how the problem of being uncounted with learning disabilities hasn’t been addressed in the UK since CIPOLD, and despite various high-profile scandals. Not always, but often, an important part of not counting is not caring. And all the more so when the uncounted is a particular group. The phenomenon of Uncounted is not a technical one, but a profoundly political one. Link to the full study.